Can you see the circles moving? 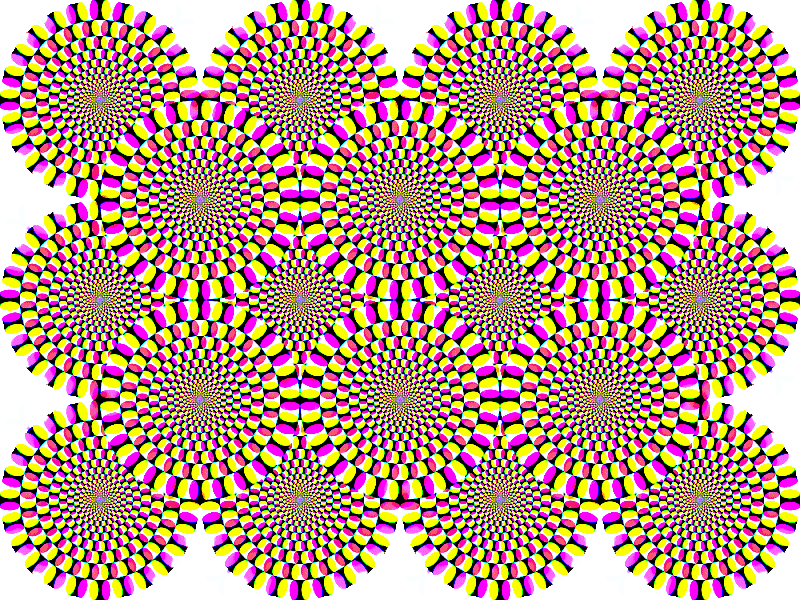 Caution: If this illusion makes you feel dizzy or uncomfortable, then move away from this page. An optical illusion similar to Rotating Snakes by Akiyoshi Kitaoka, drawn by CMG Lee and enhanced by Michael Daniels. Although the image is NOT animated, most people will see the circles rotating, especially as they move their eyes around. This image is a variation of the famous "Rotating Snakes" illusion, created by Akiyoshi Kitaoka, Professor of Psychology at Ritsumeikan University, Kyoto, Japan. It is an example of a "peripheral drift" anomalous motion illusion.